Appleford reads Lisa’s ambiguous connection to the b’gwus as an example of “less an orientation toward than a profound alienation from what is perceived (rightly or wrongly) to be the truly ‘authentic’ and conceptually coherent Haisla culture” (99). What can we make of Appleford’s reading, in light of Robinson herself explaining that she omitted clan stories and certain aspects of Haisla culture from her novel because of “Haisla copyright” ( Sasquatch 31)? What ethical issues might arise for writers seeking to represent Indigenous cultures for a wide audience? 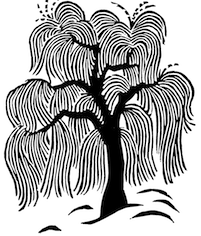 Does it matter whether or not an author is part of the community they are writing about? Explain. Ultimately, Dobson calls for readers to be attentive to the “silences” in Robinson’s work to avoid making assumptions based on her position as a Haisla and Heiltsuk writer. Dobson treads a difficult line in considering the expectation that Indigenous authors make anti-colonial statements in their writing. These expectations tend to especially circulate around writers considered to be part of marginalized groups, such as Indigenous people, people of colour, women, and LGBTQ people. Why might this be the case? Why might this be problematic? Pathologization: In the novel’s opening scene, Lisa wakes to hear crows, saying in Haisla, “La’es—Go down to the bottom of the ocean” ( Monkey Beach 1). When she shares what she heard at the breakfast table, her mother responds, Clearly a sign, Lisa, … that you need Prozac (3). This is the first instance in the text where Lisa’s gifts are pathologized—treated as if they are a medical condition—by another character. What other ways of understanding Lisa’s supernatural encounters are presented in the novel? In what ways might Robinson be playing with stereotypes about Indigenous peoples and mysticism? Land and Tradition: Consider further the characters’ relationships to their surrounding environment. Do you think Robinson deconstructs or reinforces stereotypes about Indigenous peoples’ connection to the land? How is this related to the ways in which she juxtaposes depictions of modern Haisla life with older ways of living? 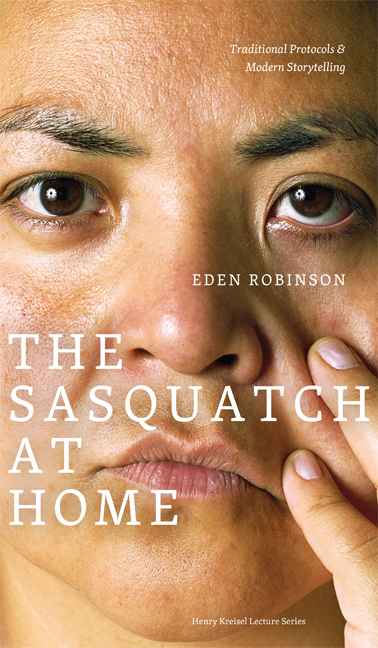 Oolichans: In The Sasquatch at Home , Robinson details the importance of oolichan fish to the Haisla community, which is also explored in Monkey Beach . As Robinson explains, in recent years, industrial activity in the Kitlope area has threatened the oolichan population: “If the oolichans don’t return to our rivers, we lose more than a species. We lose a connection with our history, a thread of tradition that ties us to this particular piece of the Earth, that ties our ancestors to our children” (23).Consider the ways in which the novel depicts the “outside” world encroaching on the Haisla community. Does Robinson challenge or reinforce the notion that Indigenous cultures are “vanishing?” How has Lisa’s community adjusted to changes in the surrounding environment? In what ways does Robinson portray cultural knowledge being passed down from generation, aside from the oolichan rituals?